Gijinka: What is it, and why do we love the cosplays? Put very simply, Gijinka is the Japanese term for a humanised representation of an animal based character. Now that the cosplay community is broadening by the day, we often see certain characters flooding our convention floors, and more and more people are trying to use their creativity for more original costumes. Gijinka alternatives can be a really great way to do something original, while still being recognisable when you hit your favourite convention. 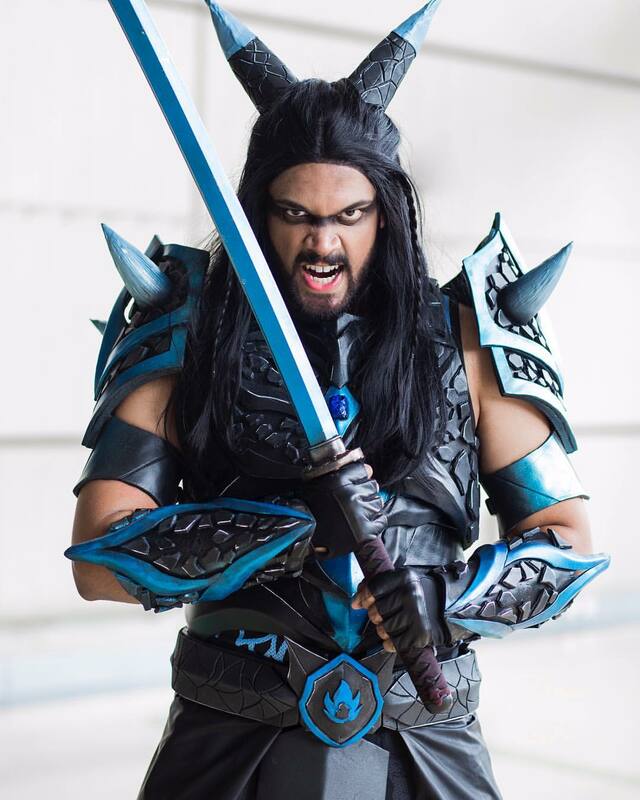 A few years ago we saw a My Little Pony hype, with cosplayers turning their favourite ponies into humans, their outfits, wigs, and make-up reflecting the personalities and skills of their animal counterpart. More recently we've seen an increase in Pokemon gijinkas and with over 800 Pokemon creatures to chose from, there's an endless supply of gijinka inspiration to be had. Arcanine (above) by Nibu.Cosplay, photo by Erik Paredes Productions. Mimikyu (left) by JinxKittie Cosplay. Many cosplayers and artists chose to bring across animal attributes to their gijinkas, like Shazbot Cosplay (left) with his Mega Evolution Charizard. Horns, ears, tails, and scales alike can be incorporated into armour, weapons, and fabric based costumes. These attributes, along with distinct colour palettes, are often an easy win when it comes to making your gijinka recognisable. The original colour palette of fan favourite Charizard would be immediately noticeable without horns, tail, and wings in the mix. But Shazbots inclusion of Mega Evolution Charizard's distinct blue and black horns and shoulder spikes, make it just as recognisable. If you're looking for gijinka inspiration, artist Sunset Dragonhas some really great designs. She focuses on incorporating animal characteristics into their outfits, with floating capes as wing replacements, and adorned crowns to replace horns. If you're looking for more anime styled designs, check out Tamtamdi for some seriously cool gijinka artwork-Natu and Ho-Oh are two personal faves. What happens when you mix a mouse Pokemon, and Star Wars character Boba Fett? Well something like this! Masubi didn't just stop at humanising her chosen animal character, she took it one step further and crossed it further with another character. 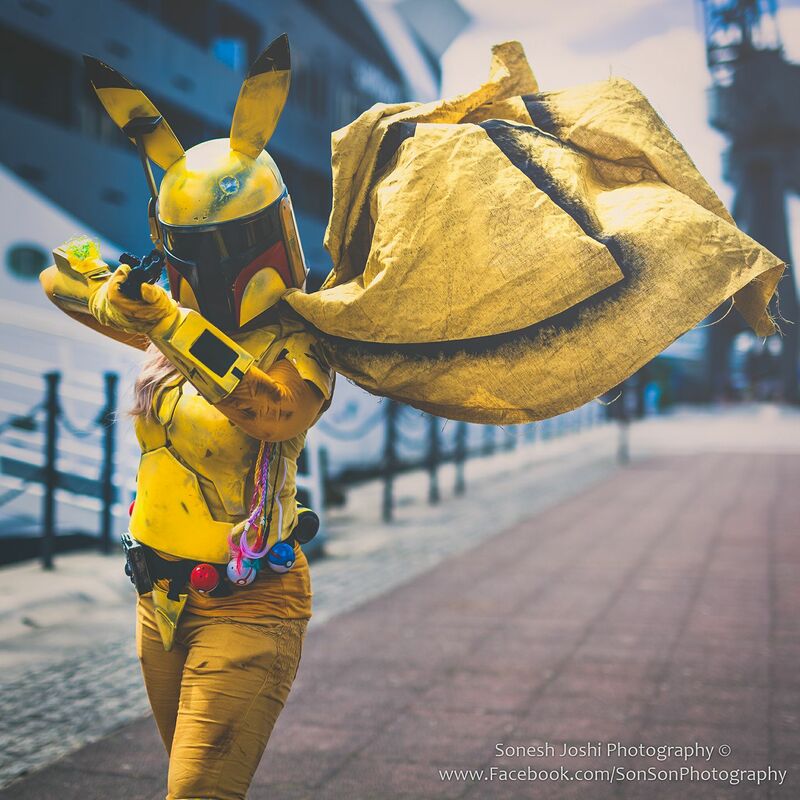 Using Pikachu's distinct yellow all over, along with replacing its blushed red cheeks with Boba Fetts helmet deisgn, it's an overall crossover win! And we love the subtle colour thrown in with the pokeball belt. So what other cross over gijinkas could we see? Digimon x Star Trek, Moomins x Game of Thrones, Sonic x Lord of The Rings? The possibilities are endless! As we mentioned, gijinka cosplays don't stop at Pokemon. 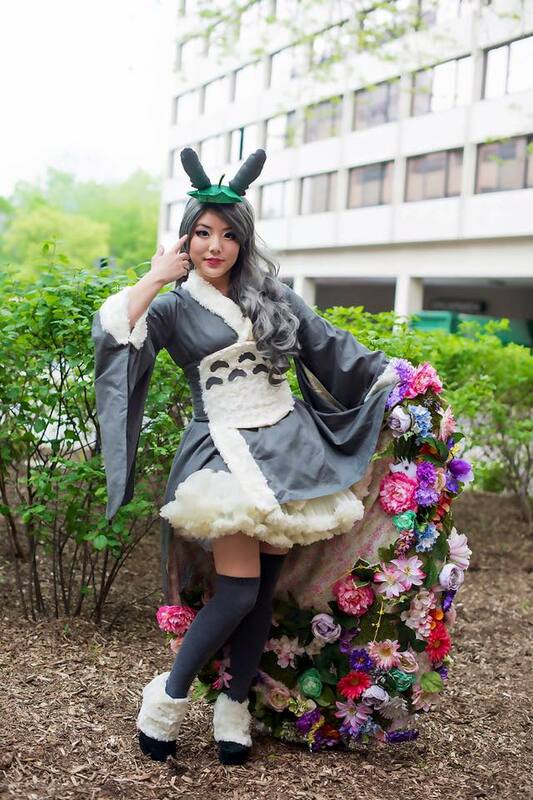 Check out AiRYin her stunning Totoro gijinka costume. We love that she's used a kimono style to compliment the japanese heritage of Totoro. The skirt ruffles compliment the fluffy cuffs and reflect Totoro's cuddly self- it takes us back to that sleepy scene with little Mei. As with a lot of gijinka designs, it's more than physical attributes that go into the humanised version. Take AiRY's use of flowers to exhibit Totoro's affiliation with the natural world. Have you made a gijinka cosplay or design? Or thinking of making one in the future? Let us know below! Happy cosplaying!